The University of San Diego (USD) School of Law is recognized for the excellence of its faculty, depth of its curriculum, and strength of its clinical programs. Each year, USD educates approximately 900 Juris Doctor and graduate law students from throughout the United States and around the world. The law school is best known for its offerings in the areas of business and corporate law, constitutional law, intellectual property, international and comparative law, public interest and taxation. USD School of Law is one of the 84 law schools elected to the Order of the Coif, a national honor society for law school graduates. The law school’s faculty is a strong group of outstanding scholars and teachers with national and international reputations and currently ranks 23rd worldwide in all-time faculty downloads on the Social Sciences Research Network (SSRN). USD School of Law is approved by the Council of the Section of Legal Education and Admissions to the Bar of the American Bar Association. The school is also a member of the Association of American Law Schools. 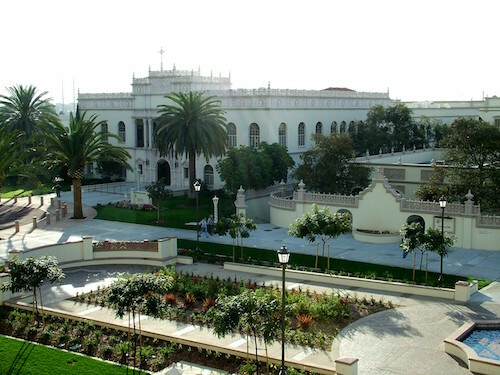 Founded in 1954, the law school is part of the University of San Diego, a private, nonprofit, independent, Roman Catholic university chartered in 1949. The academic courses and programs at the University of San Diego School of Law are designed to provide rigorous, comprehensive, ethical legal training to our students and scholars. Our course offerings are extensive, drawing from some of the greatest legal minds and dedicated teachers in legal education today. With degree programs for those entering the legal profession or for those already established in their careers, USD School of Law is home to a top-notch legal faculty, world-renowned legal clinics, and innovative curriculum.